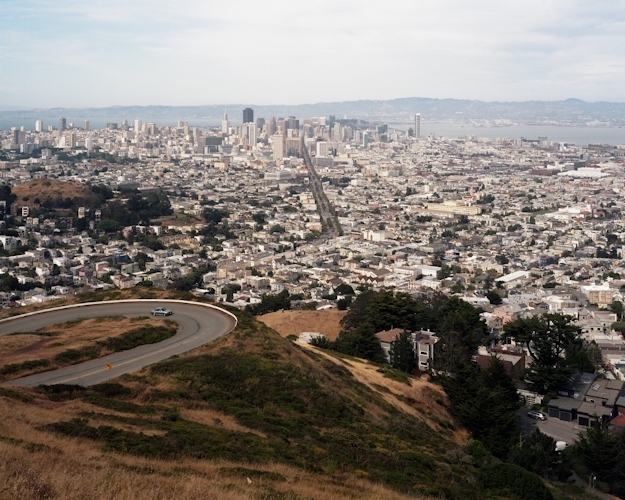 But something else entirely: Here are two similar pictures of a familiar view of San Francisco, taken facing east from the top of Twin Peaks. The first is by Gabriele Basilico, the Italian photographer famous for his documentation of urban and industrial landscapes. 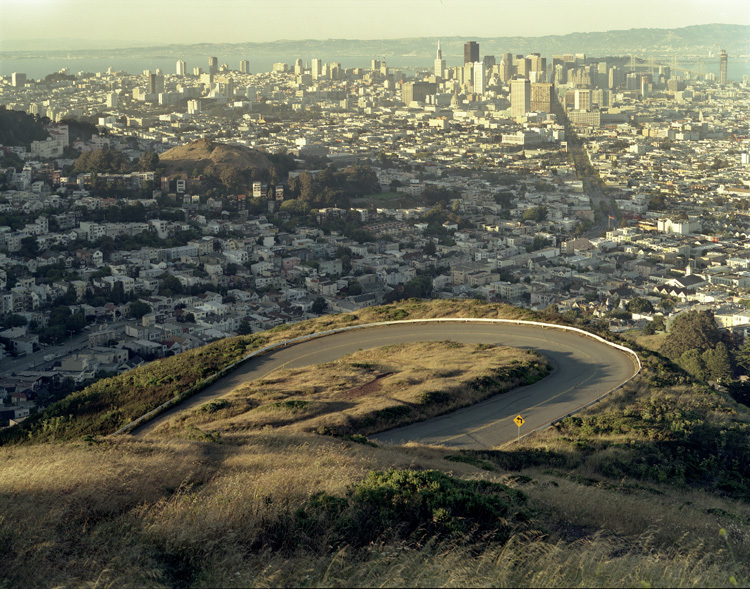 SFMOMA invited Basilico to the Bay Area last year to photograph our local landscape (“From San Francisco to the Silicon Valley“). The second photo is by Terril Neely, SFMOMA graphic designer, famous for baked goods and an inordinate love of kombucha, who snapped the picture during a holiday visit with friends. Terril sent me both pictures when she saw the Basilico, which she was about to place into some marketing material, back in February. Someone in a nearby cubicle, when I said I was going to post these side-by-side on the blog, claimed that of course the Basilico was the “better picture”, because it more closely captures the feeling of actually being at the top of Twin Peaks, the sense of isolation, quality of light, expansiveness of scope of vision, etc. 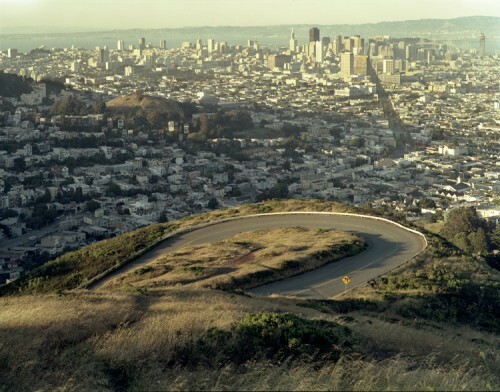 Better-pictureness, to my mind, isn’t so relevant here (although I do like the bit of hair left frame in Terril’s shot): Twin Peaks is a REALLY POPULAR San Francisco taking-in-the-view spot, for tourists and locals alike. For a zillion more such like: Flickr. The “better picture” issue is subjective and could be the topic of quite a debate here. But I’ve got to say I don’t think I’ve ever seen that view in sunshine–Mr. Basilico’s shot is ideal, but Terril’s is real. Excellent Blog…glad I found a new source for checking out what’s new and hot in the Arts…Thanks for writing good content!!! Definitely a conversation about subjectivity. Everybody has their own version of this city and I think both photographs are relevant in that way.